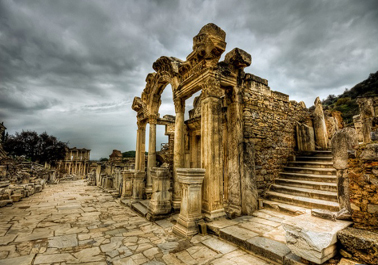 Ancient ruins recall the once-powerful empires that ruled this legendary region. Stand atop the Acropolis in Athens, wander the Colosseum in Rome or walk the haunting streets of Pompeii. Step back in time in Dubrovnik's walled Old Town, or relax on the sun-kissed shores of the Greek Isles. 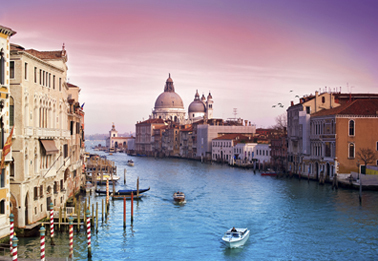 Magical Venice holds an allure all in its own, while Barcelona, Istanbul and Florence beckon timeless treasures. 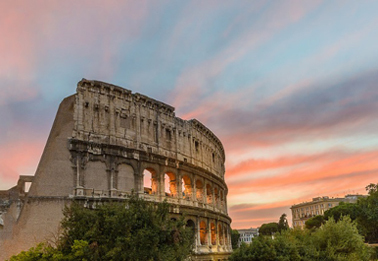 Explore the ruins of Rome, Renaissance treasures in Florence and the canals of Venice on a Mediterranean shore excursion. Savour the delicate flavour of "Koum Kouat" liqueur, grown only in Corfu. 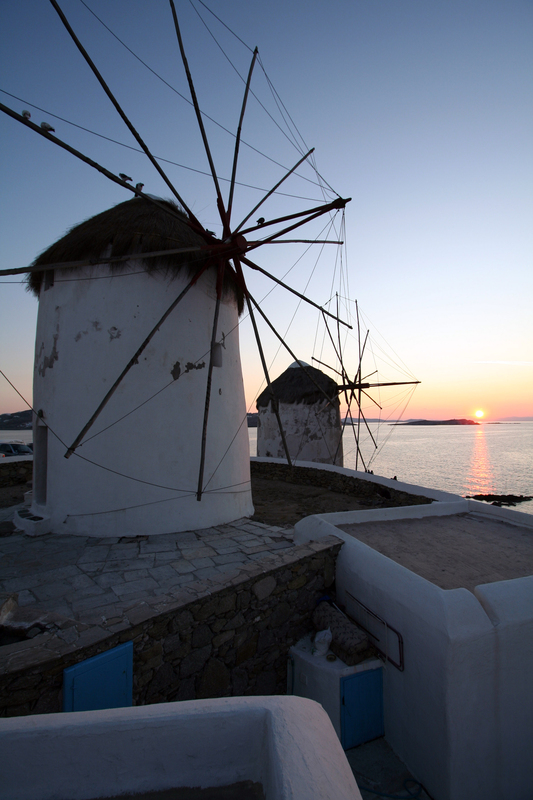 Catch some rays on the sun-drenched beaches in Mykonos. Experience the best of Istanbul and tour Topkapi Palace, home to one of the largest diamonds in the world. 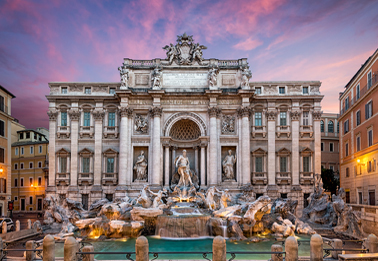 Cruises to the Mediterranean allow you the opportunity to view the extraordinary masterpieces such as Botticelli's Birth of Venus and the world famous statue of David in Florence. Marvel as the works of Michelangelo in the Sistine Chapel, and peruse the Vatican's massive art museum. 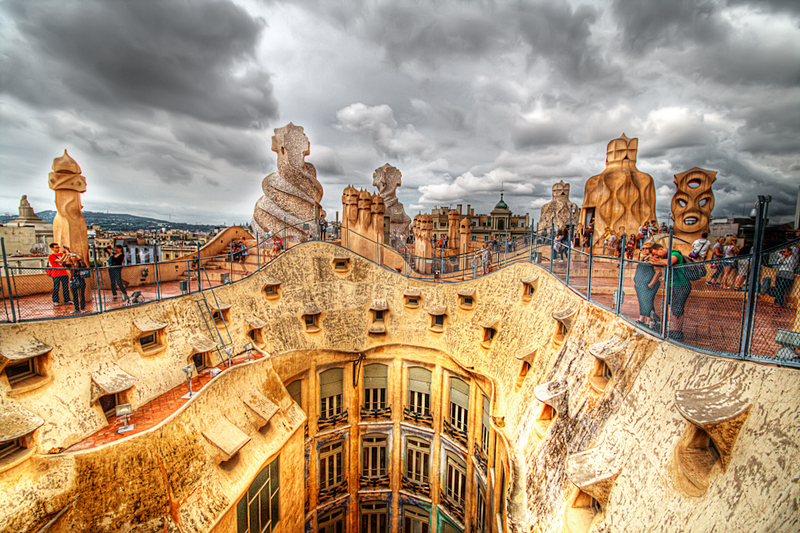 Explore the renowned Picasso Museum in Barcelona, the stunning tile work in Istanbul's Blue Mosque and the world class collection of Cycladic art and Byzantine artifacts in the celebrated museums of Athens. 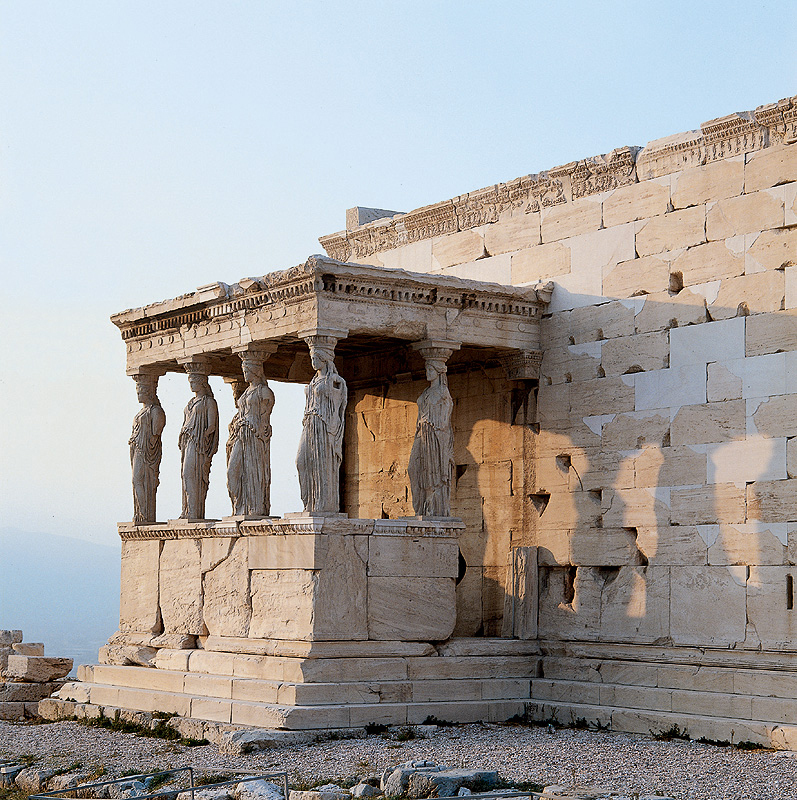 Ascend to the temples of the Acropolis, towering above the Athenian landscape. 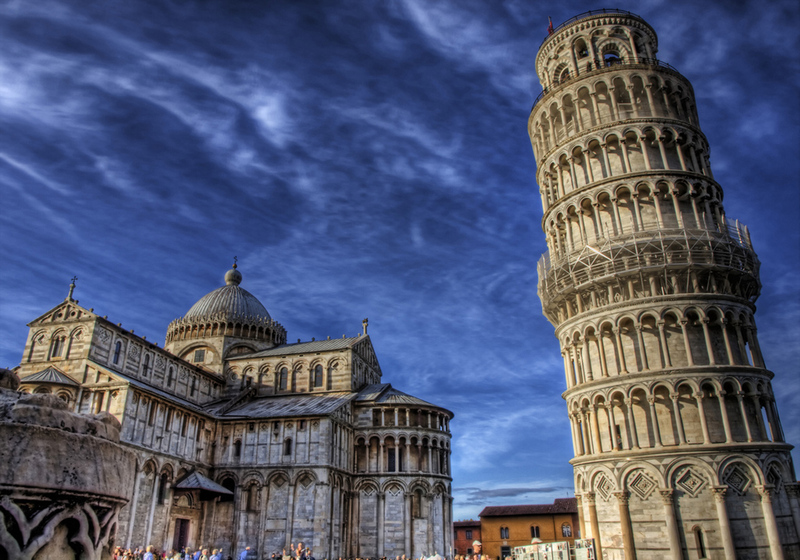 Marvel at the sheer magnitude of the Colosseum, magnificent St. Peter's Basilica in Rome and the iconic Leaning Tower in Pisa. St. Mark's Basilica in Venice is an extraordinary example of Italo-Byzantine architecture, while Istanbul's Hagia Sophia is one of the greatest surviving examples of Byzantine architecture. Create memories at three great heritage sites of Italy: the Eternal City of Rome, Renaissance Florence and the canals of magical Venice. Visit Dubrovnik's walled Old Town, and ferry across from Mykonos to Delos, known as the birthplace of Apollo. Barcelona's most famous landmark, La Sagrada Familia Cathedral, is Gaudi's final but unfinished masterpiece. 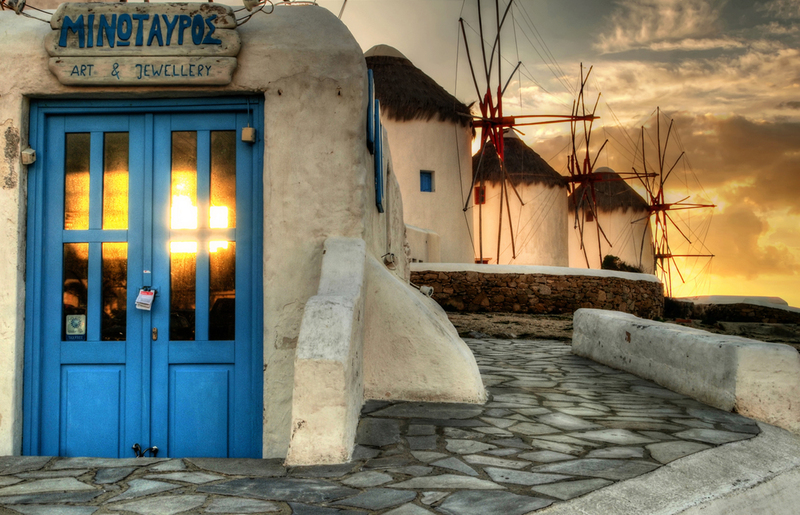 Enjoy authentic Mediterranean cuisine such as gyros and retsina at a cliff-top café in Santorini, or savour wines passed down through generations in Tuscany. Shop in the boutiques of Capri's main square. Peruse the flower stalls on Las Ramblas, Barcelona's famed promenade. Browse for jewelry on the centuries-old Ponte Vecchio in Florence, find handcrafted curios at Istanbul's Grand Bazaar, or sample Neapolitan pizza in a family run Naples restaurant. Embark on a scenic drive through the vineyards of the Chianti region from Florence. 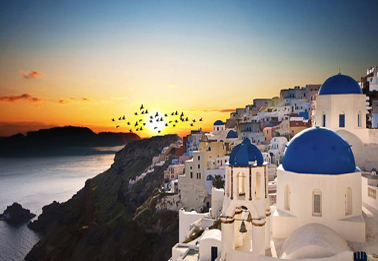 Sink your toes into the black-sand beaches of Santorini, or climb Mt. Vesuvius, the once fierce volcano that buried ancient Pompeii and Herculaneum. Travel the Sorniche to the Cote D'Azur to the lesser-visited jewels like Portofino on the breathtaking Italian Riviera. Cruise along the Bosphorus Strait in Tirkey, which divides Europe and Asia and a drive along the chiseled cliffs of the Amalfi Coast will take your breath away. Experience the sights, sounds and flavours of Venice's Carnevale right on board the cruise ship wih our "Festivals of the World" celebration. See performances by the Venice String Orchestra, Barcelona's flamenco José de la Vega and the Corrado Amici Suo from Rome. Sample Trenette ai Frutti di Mare con Pomodoro e Basilico (linguine with seafood and basil) and Moroccan Vegetable Ragout, and sip homemade lemoncello. 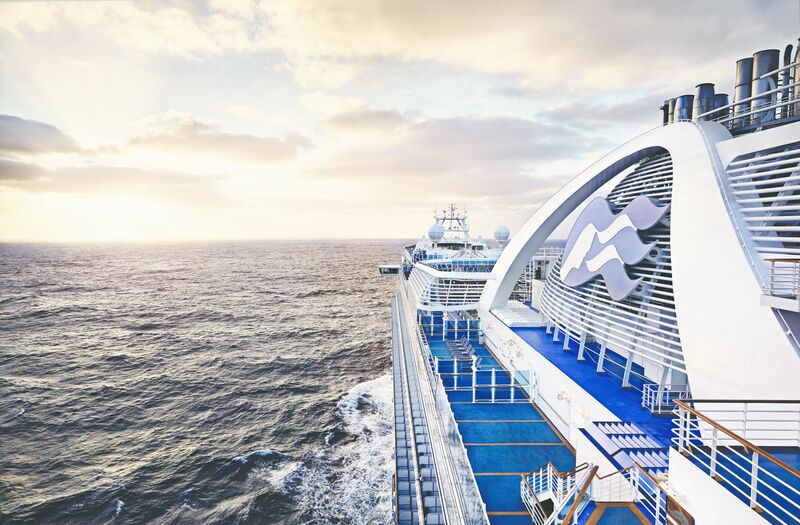 The cruise season in Europe starts in May and ends in September. Both European and American families flock to many of the summer sailing dates (especially in August), making for a nice cultural mix of passengers and plenty of onboard, kid-friendly activities. The tradeoffs are bigger crowds, higher prices (both cruises and airfares) and steamy temperatures that may sap your sightseeing energy. As much of Europe goes on holiday in August, you may find restaurants and other establishments closed. September is an increasingly popular time to cruise the western Mediterranean because you can avoid the school kids and still enjoy warm temperatures.